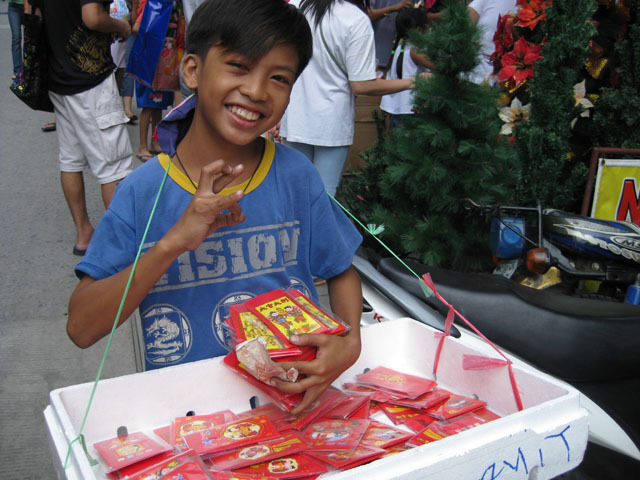 This kid peddles ang pao outside the 168 mall for 10 pesos/pack, each pack contains 10pcs of angpao. It is sad to say and note that mostly it is children who peddles ang pao, plastic bags, sampaguita garland, etc. and sometimes even cigarettes!